Rhubarb is an acquired taste, so they tell me. But the odd-looking stalky red vegetable with its tart taste was a Proustian element of my childhood. My mother's party piece dessert was a rhubarb pie, legend in our family. 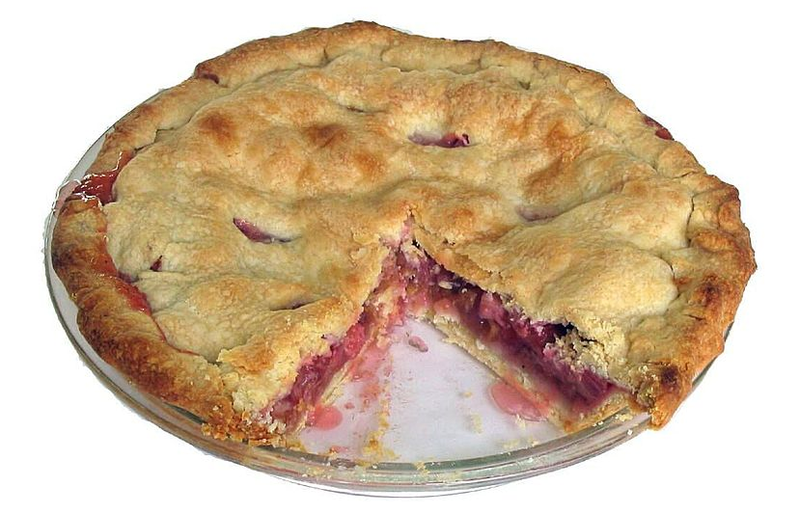 If you brought a boyfriend home to meet the parents, and he was deemed promising by Mother, she made that pie. If the guy asked for seconds, he was in. The season for rhubarb is brief, only about six spring weeks, and its going on right NOW. Melissa Clark, a food writer for The New York Times, recently featured a video + recipe for a Rhubarb Shake. 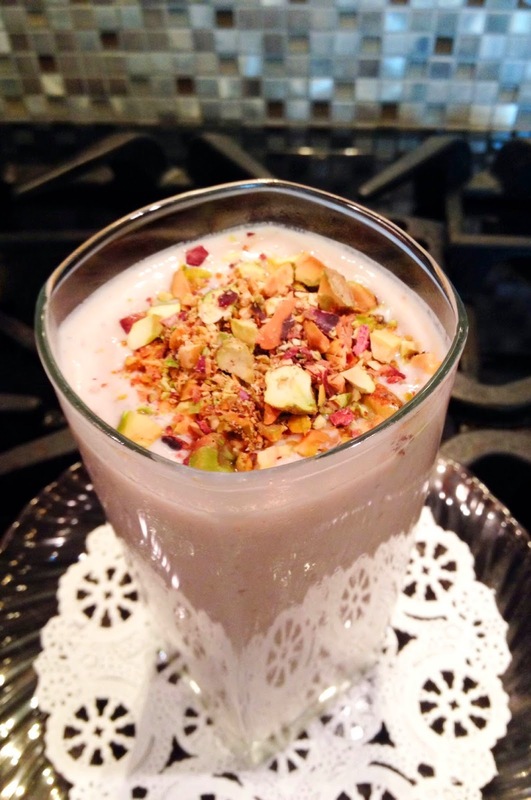 Greek yogourt, rose water, honey, pistachios, rhubarb -- it looked on the screen as if it would be a long tall drink of (peaceful) Beirut, Athens, maybe Grenada back in the Moorish day. Anything made from a by-product of the distillation of rose petals seems redolent of something exotic. Some people swear by it and rosehip oil as a skin moisturizer. Cleopatra? I had to make it. But evidently there are other rhubarb fans here in Lexington, Virginia, because I had to run fast around town, getting up early to buy up the stuff from two local farmers' markets. I cooked up a big batch of the compote that gives the shake its name -- and I suggest you do the same (but only if you already like rhubarb). Then you can freeze 1-2-cup portions to enjoy this wonderful shake all summer long. And, its so pretty. Now, I'm thinking up variations to play around with this summer. Peaches. Cashews. Mint. Almond extract. Lavender? Maybe cinnamon. Go ahead. Channel your favorite Greek goddess. Instant Gratification: A product of Lebanon!